Scenic views of the Sound and the Olympics! Day Camp At The Beach! 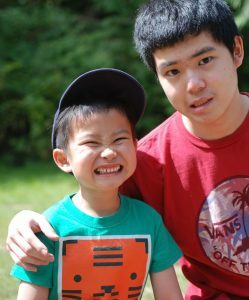 Campers will have the time of their lives this summer at Carkeek Park Day Camp! Located along the Puget Sound approximately 9 miles north of downtown Seattle, Carkeek Park enjoys 220 acres of forest, wetlands, meadow, and beach. Our day camp uses the upper meadow as a base for all operations throughout the week, giving the campers a chance to explore Carkeek’s various ecosystems. This park gives campers plenty of space to explore the outdoors, play and make new friends! 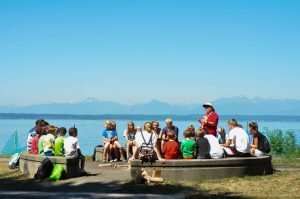 • What makes Camp Fire Day Camps unique? • Accommodations for Special Needs and Dietary Restrictions. We are excited to offer early arrival starting at 8:00am and late pickup ending at 5:00pm at Carkeek Park.